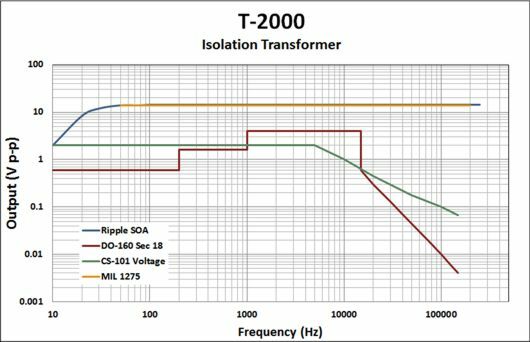 The T2000 Audio-Bandwidth Conducted Susceptibility Transformer was designed to meet or exceed the LF conducted susceptibility test requirements of DO 160 Section 18. The T2000 is used to apply the required test signals to the lines under test for ripple voltage tests and continuous or transient conducted immunity tests. 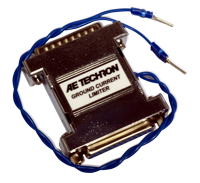 It may also be used as a 2-to-1 step-down transformer. The secondary can support up to 40AP. 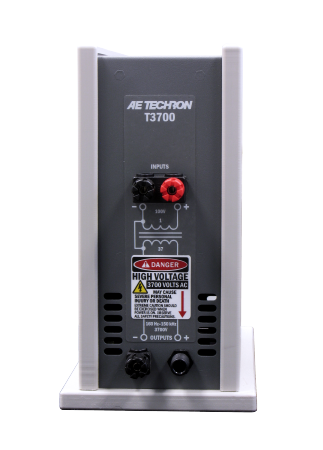 The T2000 transformer supports up to 200W and is able to pass up to 40AP on the secondary. The turns ratio provides a 2-to-1 step down. 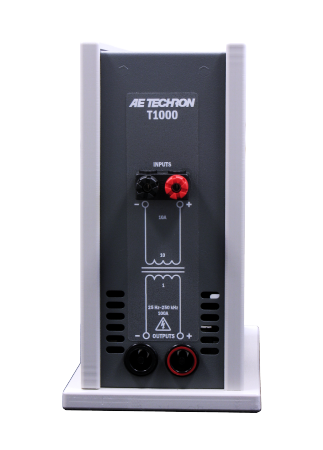 The T2000 provides convenient input connectors via binding posts. Standard 0.75-inch spacing of binding posts allows use of standard plugs. Output is via Multi Contact 125A plugs. A thermal breaker protects the unit against over-current conditions on the primary. 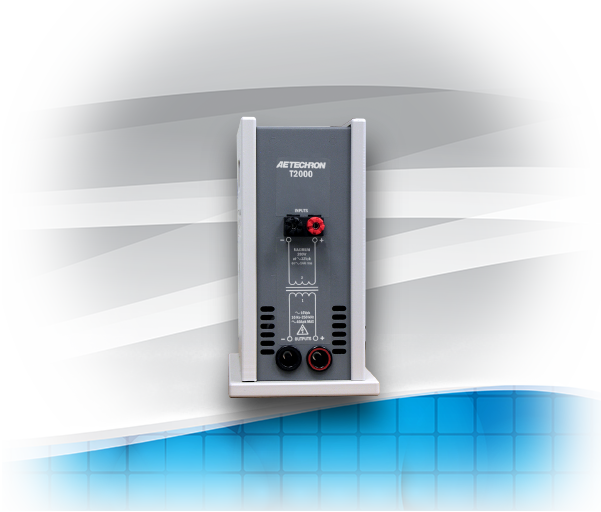 A 35 ARMS breaker protects the unit against over-current conditions on the secondary. A rugged, impact-resistant case and robust design protects the transformer from accidental damage. 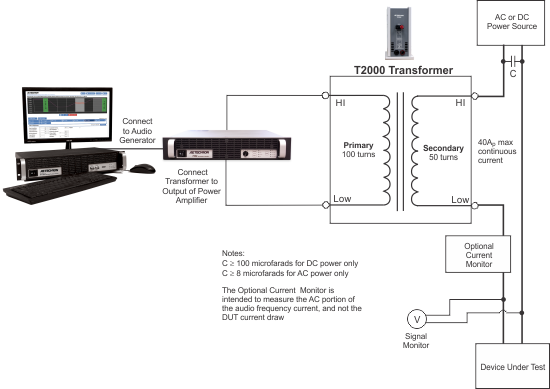 The T2000 transformer is for use by experienced staff. Case: Steel interior shell with a durable external shell made from high-density polyethylene for impact resistance.